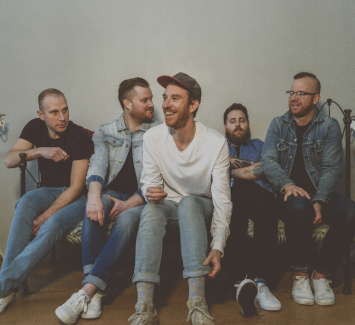 Bronze Radio's hyper-charged and hypnotic stage presence has turned bystanders into believers at festivals including Bonnaroo, Lollapalooza, Hangout, and Firefly. You may not have heard of Bronze Radio Return yet, but with their songs licensed to more than 50 commercials and TV spots, you've likely heard their music. Since 2008, the Hartford, CT six-piece has independently sold over 100,000 singles, racked up more than 26 million streams on Spotify, and, with songs such as “Further On,” "Light Me Up" and “Shake, Shake, Shake,” they have impressively notched nearly 100 high-profile placements. Armed with a sound that’s one part indie dance party and another part roots rock laced with a pop sensibility, the music of Bronze Radio Return is begging to be blared with the windows rolled down. These boys stand primed for impact in a big way.